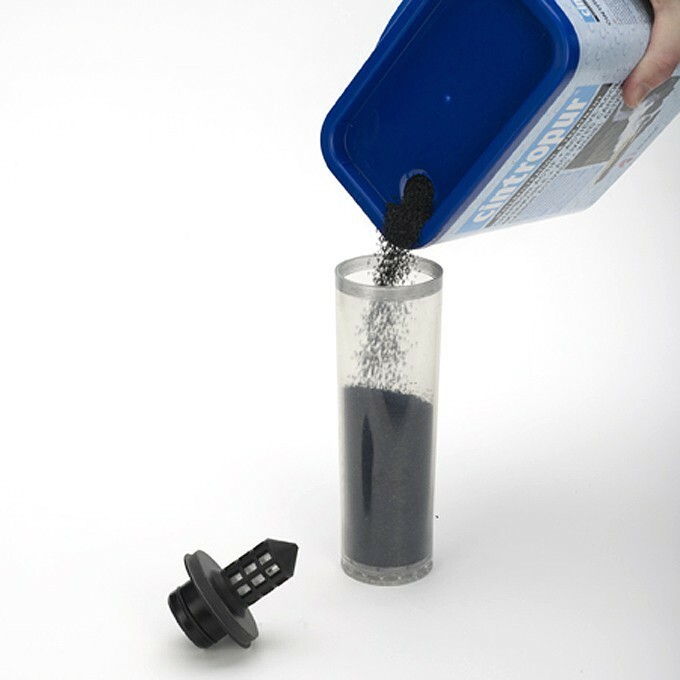 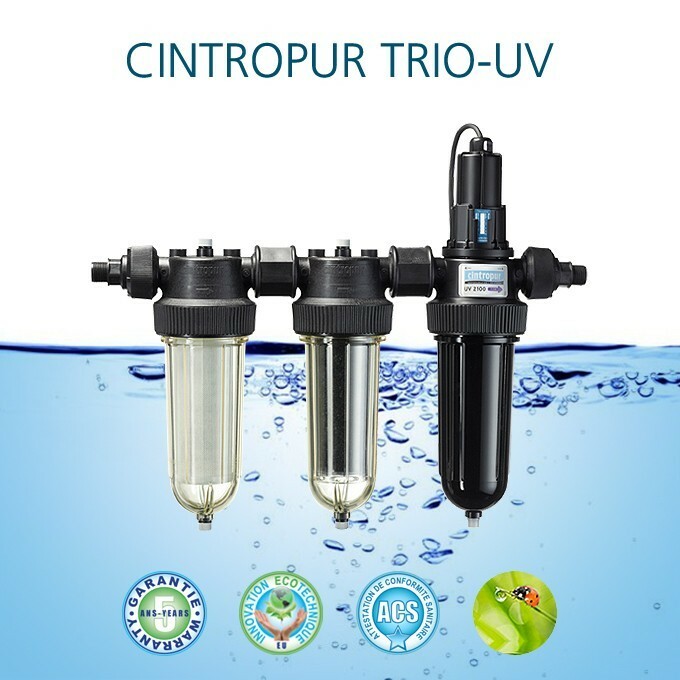 Cintropur TRIO-UV product of drinking water by UV treatment, particulate filtration and purification with activated carbon. 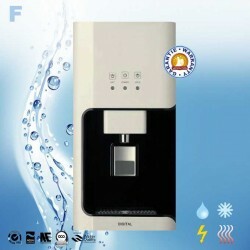 Super model 3 in 1 compact, convenient and economical maintenance. 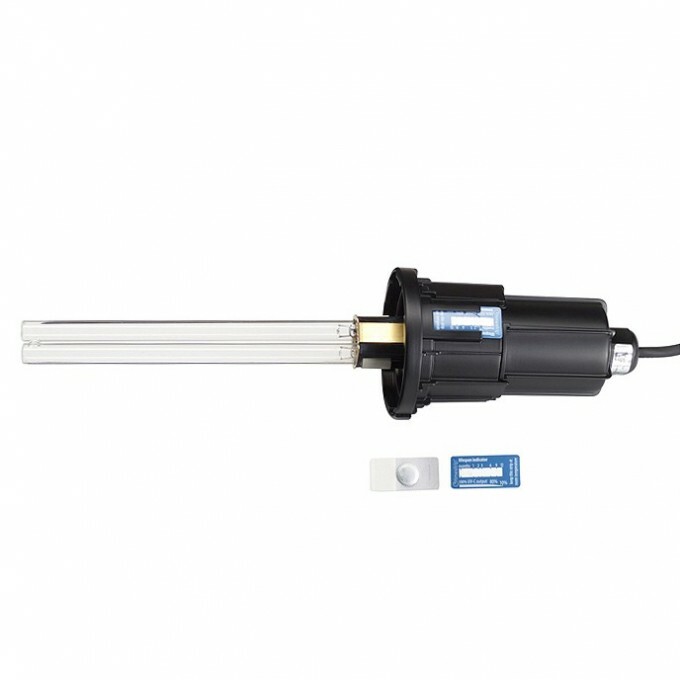 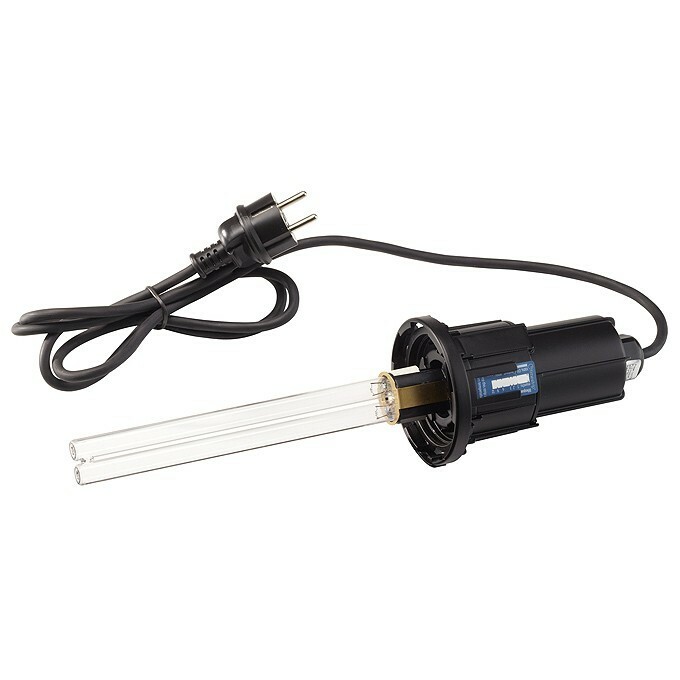 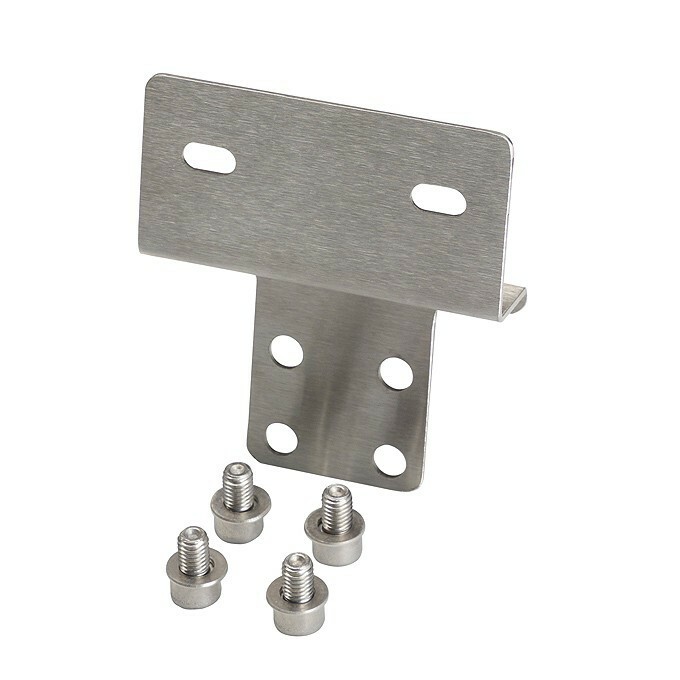 Ideal for rain water, well water, spring water, well water or network if the hardness does not exceed 17 ° F. Wall mount stainless steel screws, key bell and installation instructions included. 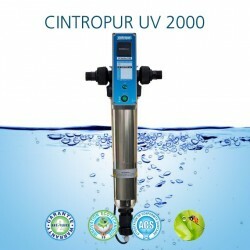 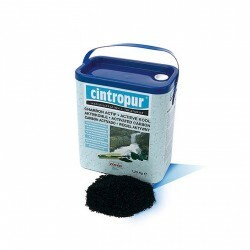 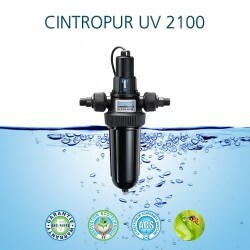 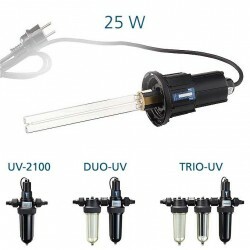 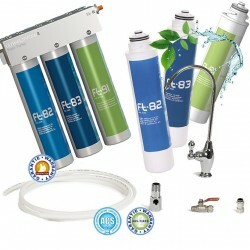 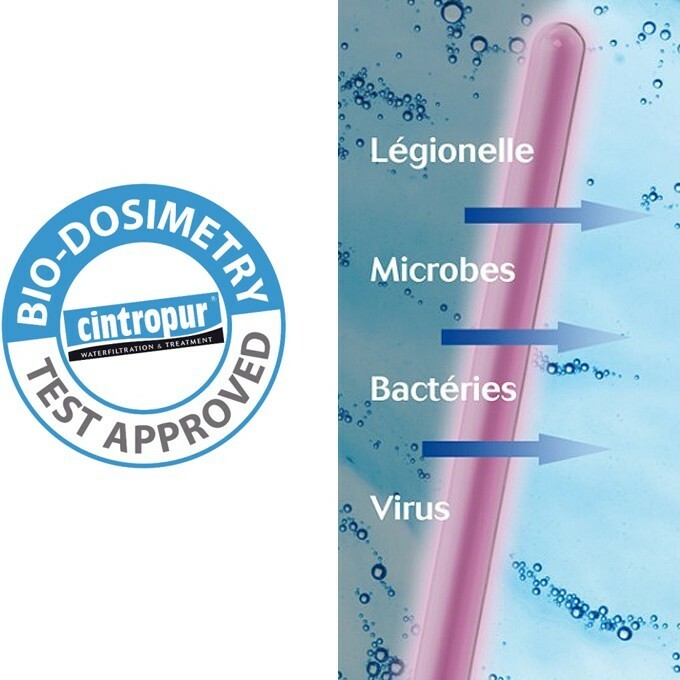 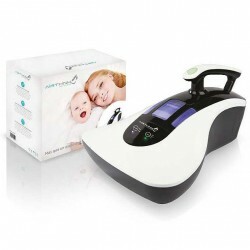 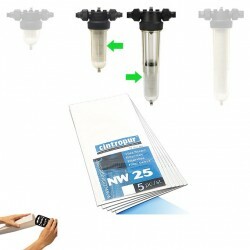 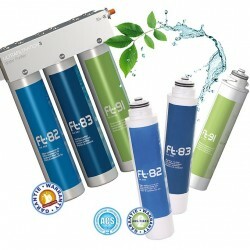 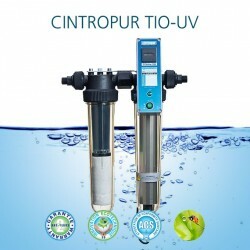 The water purifier Cintropur TRIO-UV is guaranteed for 2 years Aguagreen official distributor Cintropur. 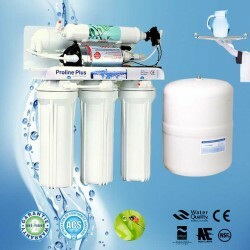 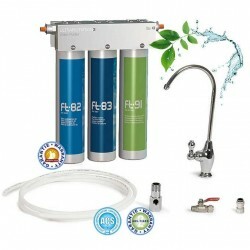 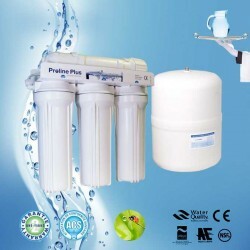 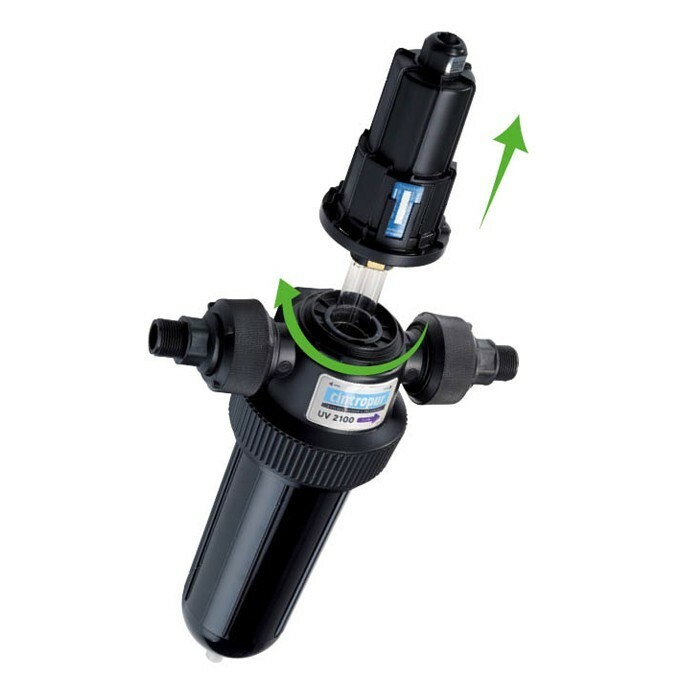 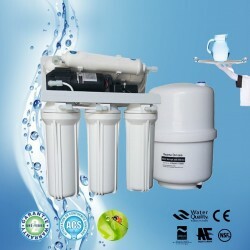 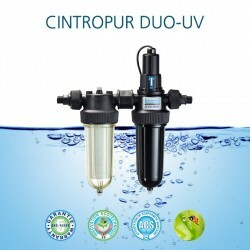 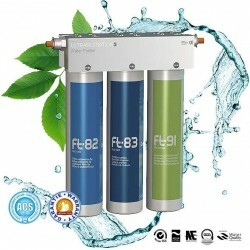 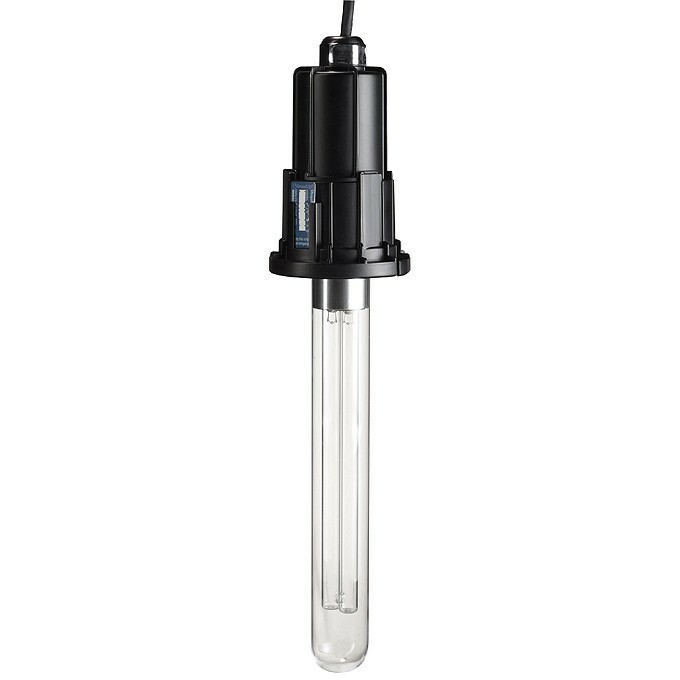 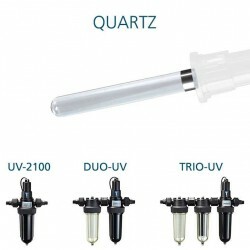 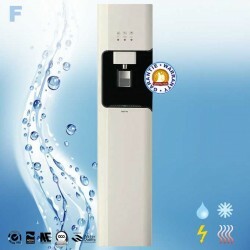 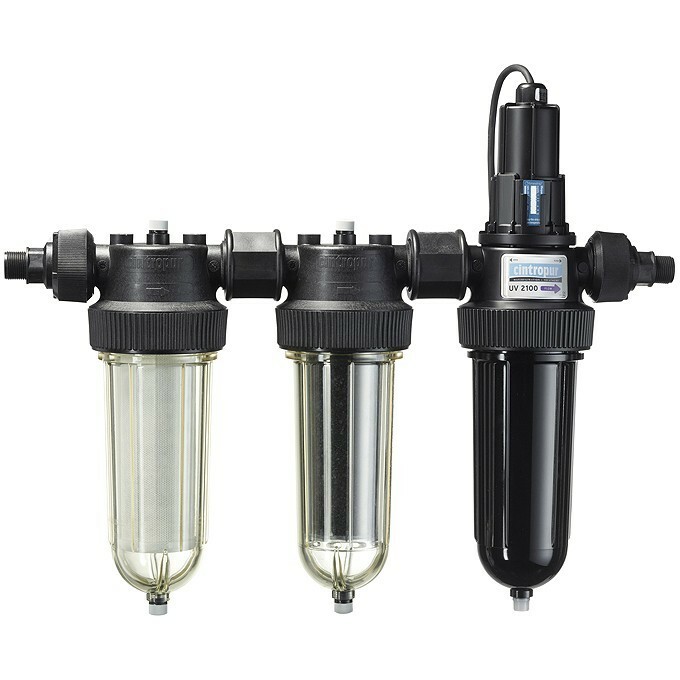 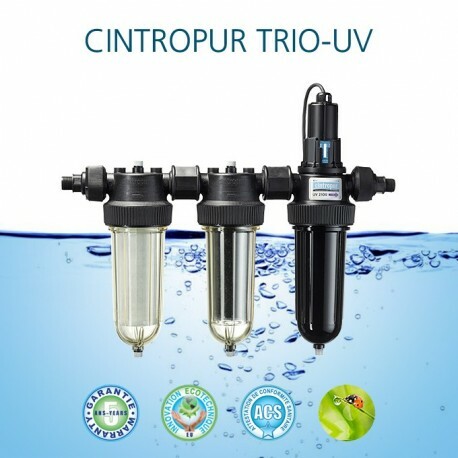 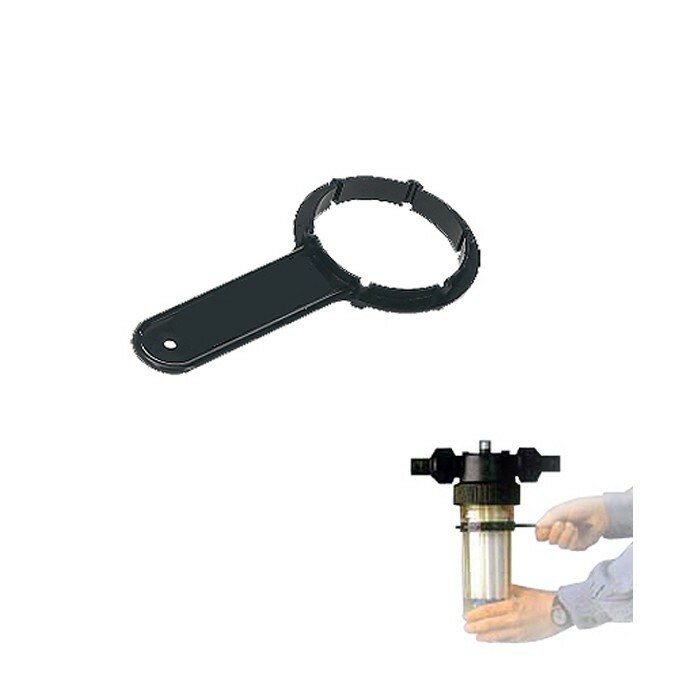 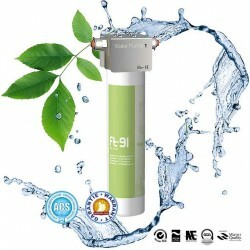 Water purifier Cintropur trio-uv for to filter by filter sleeve particle and sediment, by Cintropur activated carbon for purification and by ultraviolet for to sterilize the water. 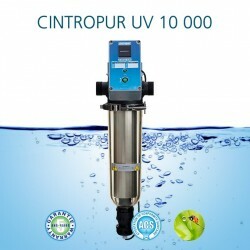 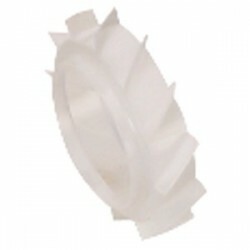 One of the latest innovations in the treatment of specific water produced by Airwatec.